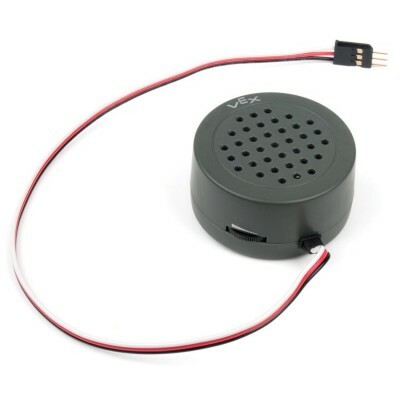 Connects to Speaker port on the Cortex Microcontroller. Volume controlled by internal knob. (2)8-32 x 0.375" Screw (pre-installed). Compatible with VEX Cortex Microcontroller. Size: 2.1" Diameter, 1" Thick. Weight: 0.084 lbs. (38.1 g).